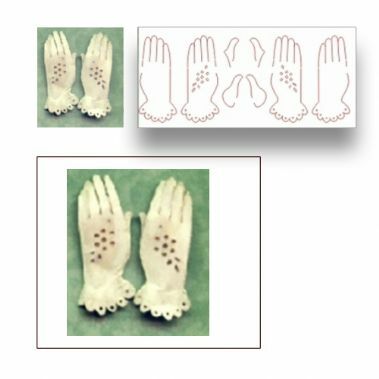 So dainty and great for your dollhouse and shop displays. These are delicate laser cut paper with a lacey design. You paint them to the color of your choice. ** gloves are for display with doll's outfit. Gloves do not fit onto doll's hands.